By bringing the Anthropology of Infrastructure into dialogue with the Anthropology of (modern) time, this project argues that a spatial-temporal perspective on ports and their infrastructure can lead to a more profound understanding of the coming into being of the postcolonial world. Furthermore, this project seeks to argue that infrastructure and infrastructuring practices produce and constitute time by simultaneously mediating between conflictual and contradictory ‘timespaces’ (Bear 2016; Bestor 2001; Miyazaki 2003) and market(s) (Abram & Weszkalnys 2013). In this project, infrastructuring practices are preliminary thought of as enactments of regulations (Drahos/Krygier 2017) and standards (Timmermans/Epstein 2010) which are inherently entangled with practices of envisioning and scaling. Envisioning is tentatively conceptualized as a co-practice of infrastructure which can be articulated and followed in sociotechnical imaginaries which are translated (Callon 1999) into documents (Shankar et al. 2017) that are enacted through infrastrcutring practices. Within my project, I seek to contribute to an understanding on how and for whom temporalities and classifications of temporalities work within and against the racial regimes of mobility. The objects of study are threefold. 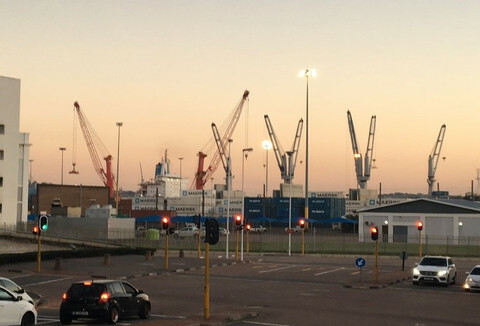 Firstly, the object of study lies on the un_intended effects and affects of the port infrastructure and the port expansion plans for (non-) human livelihoods in Durban (South Africa) and especially in South Durban. Secondly, the translation of policy documents, such as the Reports on the Port of Durban issued by the International Transport Forum, the National Development Plan 2030 issued by the South African Government, into practice and therefore the coming into being of (port) infrastructure is an object to this project. Thirdly, the coming into being of policy documents hence bureaucratic practices are from importance to this project. Souad Zeineddine is a Marie Skłodowska-Curie Fellow at the a.r.t.e.s. Graduate School for the Humanities Cologne and a research associate at the Wits Institute for Social and Economic Research (WiSER) at the University of Witwatersrand in Johannesburg. As part of the a.r.t.e.s. EUmanities global programme, Souad Zeineddine is pursuing her doctorate within the project “Envisioning-Scaling-Infrastructruing: The port of Durban and its city” (Working title). After completing her Master’s degree in Transcultural Studies (University of Bremen), she received a transitional scholarship from the Collaborative Research Initiative, Worlds of Contradiction, at the University of Bremen. 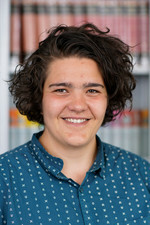 Furthermore, she is associated with the WoC network initiative and the Bremen NatureCultures Lab as well as a member of the German Anthropological Association (GAA). Her academic interests lie in ethnographic theory, de_postcolonial theory, new materialism, queer and feminist Theory, STS Anthropology and (postcolonial and feminist) STS.